profile, can also be used in the tunneling of railway road. good stability and high efficiency. 5. Unique system of separate motor to drive loading and transportation respectively reduces the default during cutting, which improves the loading andtransporting capacity. 6. 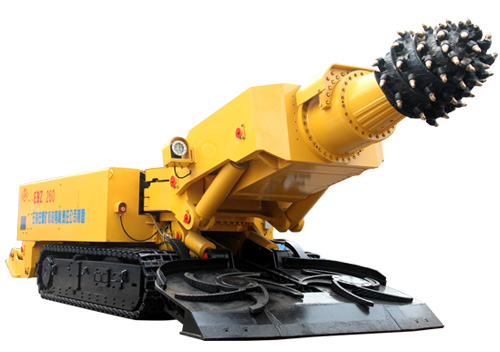 Bigger force on each pick bit, reasonable layout of the pick bits goods capacity to break rock and go through the fault. Small vibration and good stability.Swiveling, lifting or lowering of the boom can be achieved simultaneously, and curve cutting can also be achieved. Company's address: 111 Yuejin Road, Shijiazhuang, China.